Superdry men’s International Merchant chino trousers. 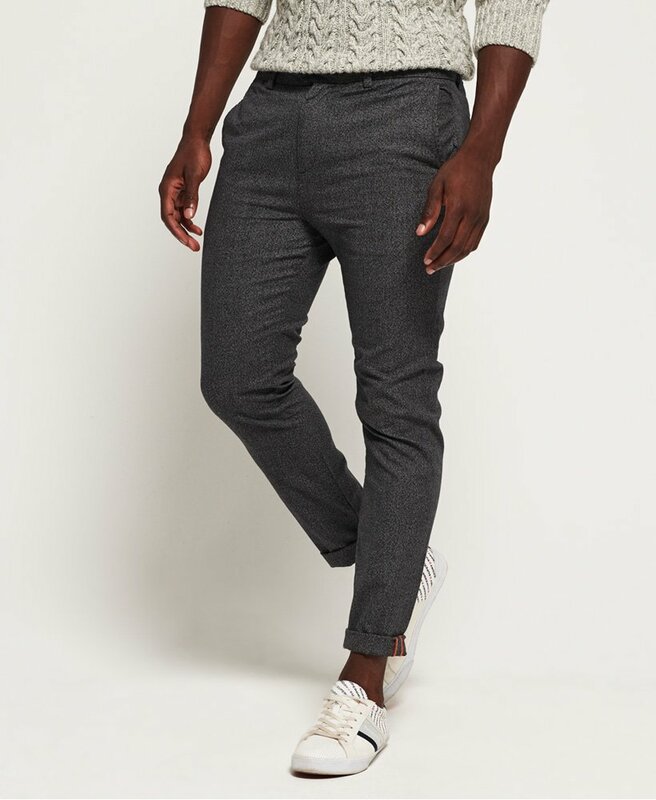 A pair of chino trousers in a flattering fit, featuring two front pockets, two back pockets with button closure, and a button and zip fastening. These classic textured chinos are finished with a Superdry logo patch above the back pocket. Dress these up with a white shirt for a stylish smart-casual look.